What author hasn’t been a little shocked to find out that, in addition to writing the book, you also have to become an instant expert in editing, graphic design, publicity, online marketing……? I wasn’t surprised that my new client was a bit overwhelmed. He had just realized that his book had become a 2nd job and of elephantine proportions at that. Our meeting ended with creating a to-do list for both of us. Hiring a professional to do various aspects of your publishing process is certainly one of the ways an author can “eat the elephant.” But where do you start? Googling “how to publish a book” brings up a bunch of self publishing sites and related publications on publishing — 266,000,000 of them. Ignore the obvious “publish your book with us” sites (they can be very expensive) and focus on publications like Writer’s Digest and blogs for starting information. Articles in general publications will hopefully lead you to the websites of some of the leaders in self publishing and publishing trade organizations like CIPA. Read a book or two on self publishing. Search “self publishing on Amazon and you’ll get 121,792 to choose from. Search on “book marketing” and you’ll have another 312,000 books to browse. Suggestion to start: narrow it down to what’s at your local library – most likely they’ll have several titles. Talk to people who’ve been there already. Talk to authors you know, or join a Meetup of authors. How are they finding answers to their self publishing questions? Organizations like CIPA serve to educate our members about publishing and marketing books to help them avoid expensive mistakes. In addition to our monthly meetings, we also have CIPA Brainstorms, (formally called Focus Forums) small group meetings about specific subjects. This summer, we had three webinars on different topics – Our 20 Biggest Self Publishing Boo-Boos, 10 Steps to a Hardworking Website and How I Sold 5000 Books to American Furniture Warehouse. And let’s not forget about the vast amount of knowledge shared by our members. Details on joining here. Hire a professional to guide you through the process. This could be one-on-one coaching, classes, or having someone do it all for you. CIPA has members who are editors, designers, marketers and more. Get referrals whenever possible from your author connections. If you’ve already published and are ready to gear up your marketing for the fall, these steps will work for you, too. Do a little research and talk to fellow authors and professionals about how to get back on the promotion track for your book. A little knowledge will help to shrink that elephant down to a manageable size. Be sure and join us for CIPA’s kick off meeting on September 19. We’re still finalizing the program; watch for details! In the meantime, I hope to see you at the 21st Annual CIPA EVVY Awards, Sunday, August 23, 2015! Details here. Download Webinar: Our 20 Biggest Self Publishing Boo-Boos! Download the recorded webinar video and PDF slides. This webinar will be recorded and provided to all registrants after the event. Your website is your personal real estate on the internet. This is the place you should be sending your fans, the media, and potential buyers of your book. But is your website working for you or against you? Is it old-fashioned looking, slow to load, and doesn’t have a call to action for your visitors? Or, is your website inviting and interesting, with a clearly articulated call to action? Is it what we call a hardworking website? You’ve forgotten the last time your website was updated. You have no idea if your site is getting any visitors. You pay your webmaster a lot of money and you have no idea why. You’re just getting started with a website and you want to understand what you’re paying for. What you need to create a new website. Where to get a domain name and how to select one. What are my website options? How to assess if you need to update or redo your site. Best practices when working with a web developer. What kind of expenses should you plan for? How to make the most of your website once it’s done. How long will my site last? Presented by Corrinda Campbell of Small Business WP Services, hosted by Mary Walewski of Buy the Book Marketing. Click the webinar image below to purchase and download the webinar! It’s every author’s dream: selling your book by the hundreds or even thousands. But that could take a very long time if your sales are one book at a time. Author and CIPA member Michelle Rodenburg had a better idea. After hearing self publishing expert Brian Jud speak at CIPA last fall about bulk sales, Michelle took action. She bought Jud’s best selling book How to Make Real Money Selling Booksand made a plan. Learn Michelle’s step by step plan for selling 5,000 books to American Furniture Warehouse as a premium for customers. 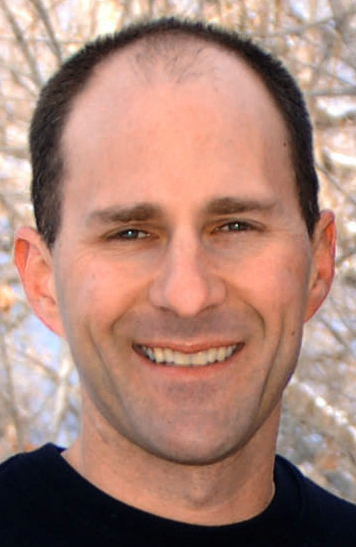 Webinar: Our 20 Biggest Self Publishing Boo-Boos! 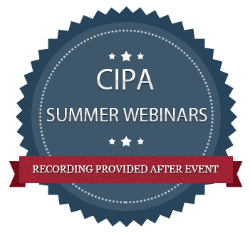 Webinar originally aired, June 15, 2015. This webinar’s focus is on self-publishing BIG BLUNDERING BOO-BOOs! Industry professionals say they can spot a self-published book a mile away. In this webinar, we’re going to point out the top twenty red flags that scream THIS BOOK IS SELF-PUBLISHED so you can avoid them. 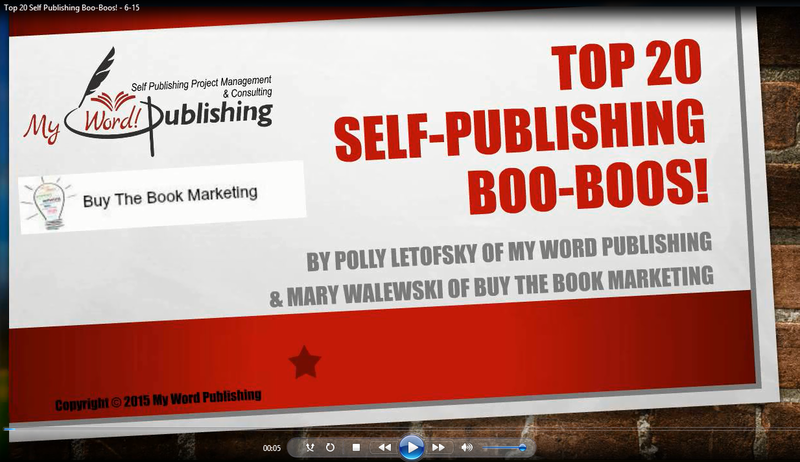 Join Polly Letofsky of My Word Publishing, and Mary Walewski of Buy the Book Marketing as they steer you past these boo-boos and save you heaps of headaches (and money). In anticipation of CIPA’s January meeting on Crowdfunding, we’re casting our author spotlight on Barbara Ziek, author of Zadie and Plain Vanilla, the Rainbow Alpaca. Barbara used a Kickstarter Campaign to crowdfund the money to publish this book, to great success. Let’s find out how she did it . . .
LM: Barb, why did you turn to crowdfunding to finance the printing of your first book? BZ: My husband and I have an alpaca ranch outside of Colorado Springs. A friend and I had written and illustrated a children’s book about alpacas. Our major hurdle was financing the printing. One night, I was poking around the internet to learn more about book publishing. I clicked on a link to something called Kickstarter, a crowdfunding site. I’d never heard of Kickstarter or crowdfunding, and frankly, their claim of a risk-free method of funding creative projects sounded too good to be true. But after reading further, I decided it was worth a try. One month later, we had the $6,000 necessary to print our book! LM: For those who have no idea what we are talking about, can you give us the short version of crowdfunding? What is it? BZ: Crowdfunding helps entrepreneurs connect directly with people who are interested in their project and willing to support them financially via a pledge. Word about the project spreads through the project originator’s social network – Facebook, Pinterest, Twitter – and through people who use Kickstarter in search of intriguing projects to back. With the click of a mouse, people who like your Kickstarter project make a pledge and become Backers. Your Backers support your project by pledging money in return for Rewards. Rewards are services or products created by each Kickstarter project’s originator. LM: How do you create a Kickstarter campaign? BZ: Kickstarter guides you through the process. You have to set your financial goal and deadline – they recommend thirty days. State the amount you need and exactly what you’ll use the funds for. In our case, we needed to pay for editorial and book designer services, printing, and shipping the books to us. (We didn’t figure in the amount to ship the books to our backers either, and we should have.) Your Backers’ credit cards will be charged at the end of your campaign – only if it is successful. LM: How do you get anyone to pay attention to your crowdfunding efforts? BZ: Your Kickstarter page is the heart of your campaign, containing all the info about your project for the public to see. Along with all the details about your book, you also have to explain the pledge levels and Rewards your Backers will receive at the end of the successful campaign. Kickstarter recommends you shoot a short video and post it on your Kickstarter page so people can actually meet you and hear you explain your project. LM: Can you explain Rewards? Parents and grandparents with kids who would enjoy the story and the felting project in the book. Alpaca farms with farm stores, who could sell the book with their own alpaca fibers. Fiber people – felters, knitters, spinners, etc., who’d like to encourage a love of fiber arts in children they know. We targeted these groups with specific Rewards. For instance, to parents and grandparents, we offered the book and the necessary supplies to do the felting project for $25, shipping included. LM: I’ve heard that social media is a big part of a crowdfunding campaign. How does it tie in? BZ: Once your project is approved by Kickstarter, you use Facebook, Twitter, and other social media to notify all your friends, relatives, and professional acquaintances. Encourage them to spread the word to all their contacts as well. You need to set up a business page on Facebook and link it to your Kickstarter page. Your Facebook page should be up and running the minute your project goes live on Kickstarter. LM: How important is it to have your social media in place before you start the campaign? BZ: The more active you are on social media, the better. But on my personal Facebook page, I had only around 90 friends. The FB business page for the book itself started from nothing. I kept trying to add people over that month, trying to get Alpaca people to the page. LM: In hindsight, what might you have done differently? BZ: I think I would have changed the Reward structure, so that we got to keep more of the money. And I didn’t use Pinterest, but that’s a good choice if you have an interesting cover or photos in your book. It could have also been great for us, considering how photogenic alpacas are. BZ: I’ve got loads of tips . . . The Kickstarter site is filled with great information about what others have done. Read through it before creating your campaign. Create a website for your book and announce it on your Kickstarter page and on your project’s Facebook page. Have it ready to go as soon as your Kickstarter campaign ends. Be sure to take fees into consideration as your create your Rewards: Kickstarter takes 5% and Amazon charges 3%-5% fee for processing the credit cards used by your Backers. LM: Barb, aside from publishing your book with no debt, what were some of the other benefits of crowdfunding? BZ: We made many new friends and business connections. The 242 books we sold through our month long Kickstarter campaign wound up in the hands of Backers in 28 states, Canada and Switzerland – within three weeks of the book’s publication! We have repeat wholesale customers, including an alpaca rancher in Maine who has reordered multiple copies of the book numerous times. Backers from all over are now interested in our next book. People are ordering books from our website after seeing a Backer’s copy. We get fan mail from kids who love the book! It was hard work – but it paid off for us in a big way. We hope to see you at our January 2014 meeting on Crowdfunding. 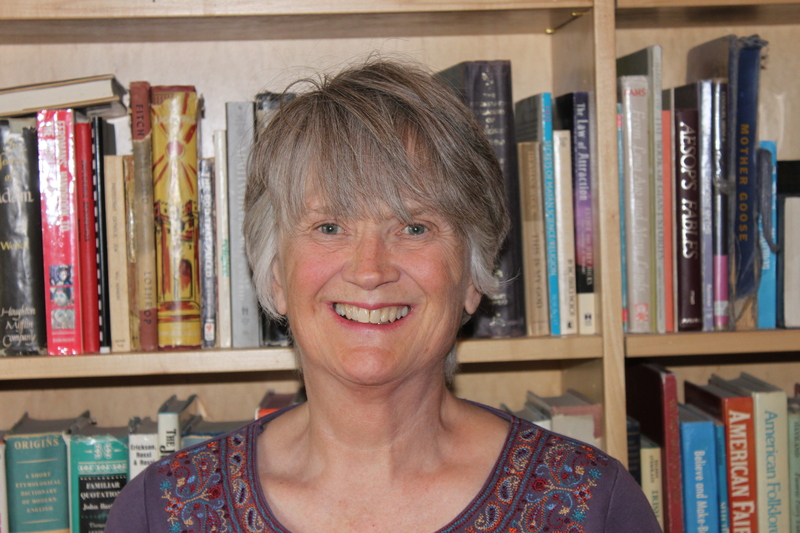 Barb Ziek will be on hand to lead a round table and lend us all the benefit of her experience! “Oh, the Mistakes We’ve Seen!” is part of a series of BlueInk Review blogs offering advice and insight into self-published writers’ most common errors, as seen in the more than 2,000 reviews of self-published books that we have provided since our inception in 2011. Below, we have compiled excerpts from our more unfortunate reviews, each of which exposes common writing blunders. The fact that this is at the top of the list is both discouraging and heartening. Discouraging because, let’s face it writers, a book should be free of all spelling, punctuation and grammatical errors long before it’s reviewed or even published. Heartening, because this is one of the simplest problems to remedy. Mechanical errors can detract from the plot by forcing readers to wade through a veritable pool of inaccuracies in an attempt to decipher meaning. Don’t punish your supporters for reading your book; reward them with flawless mechanics. Simply put: Hire a professional copy editor. And when he/she is finished, don’t rest easy. Proofread, my friends, proofread. Unrealistic or flat characters frequently dissatisfy our reviewers. And why shouldn’t they? Ask yourself about the sort of people you’re writing about. Are they stereotypical? Do they lack depth? Are their actions unexplained? If so, it’s better to revise than publish. Sit down and make character profiles. Think of each character’s quirks, fears, aspirations, weaknesses and strengths. Make sure logical motivations continuously drive your characters. Last word: Get up-close and personal with the characters you are developing. Plot threads that disappear, accidentally altered names, changed tenses, unintentionally fickle points of view— all of these things can make a book cumbersome and confusing, even baffling. Why should a reader follow the narrative if its author can’t? Get your facts straight. Outlines or timelines can be particularly beneficial in maintaining the reliability and uniformity of a work. Pick a tense, and stick with it. When you proofread for mechanics, simultaneously proofread for consistency. Tip: Draw a web. Does everything connect? Where are the loose ends? These are just a few common mistakes, but stay tuned for more “Oh, the Mistakes We’ve Seen!” blogs. To receive them in your inbox, just sign up for our newsletter. Camilla Sterne is a senior at the University of Denver, where she studies creative writing and media studies. She is a freelance writer at the Boulder Weekly, and assistant lifestyles editor at the DU Clarion. She was BlueInk’s Summer 2013 Intern. Heather Lutze & Heather Gilmore have graciously offered to extend the NSA discount to CIPA members for this Friday’s I Heart Tech NSA CO Event! When this code is entered on the payment page, and APPLY is clicked, the rate will adjust to $99 for one person, or $149 for two. $99 for one person; bring a friend for just $50 more. Registration & Breakfast will begin at 8:00 a.m.
Do you embrace them, or run from them? Are you engaging with your target market via social media and social sharing? Or are you still trying to market your business the same way you did twenty years ago? In last month’s column, I wrote of the analogy of a farmer and how viewing yourself as one can help you stay focused in your publishing endeavors. This month, I want to ask you to put on a different hat; the hat of a hunter. We all know the reference to our ancestors as hunters and gatherers. Hunters and gatherers stem from the most primitive part of our brain. We see animals doing it all day long. They are constantly hunting and gathering. It gives them the energy to live, love, and play. As humans, we are fortunate to have not one, but three brains. One: the instinctive brain (hunter/gatherer, fight/flight). Two: the emotional (limbic) brain (pain/pleasure). Three: the left/right sides of the thinking (neocortex) brain. The left brain asks ‘why?’, while the right brain asks ‘what?’. More on this later, but I want to plant the seed of why vs. what now. The left brain is deeply rooted in our past experiences, while the right brain is the creative, future imagery aspect of our brain. When you think in terms of the past (was), your left brain is engaged. When you plan for the future, your right brain is in charge (what’s next). Being in control of our actions involves developing a better understanding of how our brain works. Why do we often fail at acting consistent with what we know we ought to be doing? Because our three brains aren’t aligned. While your thinking brain has determined the best next step (what you ought to do), your emotional brain might sabotage the good intention because it’s perceiving some level of pain in the result. Your decision to act or not comes down to those tasks where all three brains are on the same page. Can’t one of my three brains just make an overriding decision? I believe it’s the *instinctive* part of our brain truly in charge, the one we were born with, the one that exists to keep the rest of us alive and intact. But I’m smart enough to know the one in charge (the instinctive brain), isn’t exactly the smartest apple on the tree. So I’m going to have to do a little manipulation to get it to act the way I want. You are leaving the cave. The more time you spend outside the cave, the more dangerous it becomes. Minimize your exposure and get back as quickly as you can. But before you head out, it’s important you’ve adequately prepped for the safest journey possible. Be sure to take all your tools with you, but travel light so you can be nimble when necessary. Decide to make as few decisions as possible on this journey. There are more journeys ahead, but right now you need all of your energy to complete that which has already been decided. You are out of the cave and fully exposed now. There’s no more rehearsal and it’s time to get to work and complete the task you’ve been called to do today. If you need others to help you, be sure to call on them early and be sure they are fully equipped for the journey ahead. The fight begins. Your instincts will call on all your experience and knowledge to win the fight (or in this case, finish the task) as quickly and effectively as possible. You are the hunter. Your sole goal is to bring back the reward (the result), so the best you can do is focus on the task at hand and not be distracted by the result. Expect to get bruised along the way – what’s a warrior without a few wounds? Wear them with pride. Please, for your own safety, don’t ask WHY in the middle of the fight – your left brain is not the problem solver. Instead, ask WHAT – as you need all the creativity and optimism of your right brain right now. After you’ve determined WHAT, shift into fight mode by stating I WILL and get to it. Stating: I Will = a decision to act. The word ‘What’ calls on the hunter inside you to step up and solve the problem. The word ‘Why’ instead looks at the past and all the flaws of spent time that’s gone. Asking ‘Why’ isn’t going to serve you right now – because you’ve called on the ‘Will’ which is the trigger to proceed. Don’t leave without your self-confidence! The most successful hunters are armed with a high level of self-confidence. Self-confidence is the most important tool of all! And that self-confidence comes from belief. And belief comes from seeing evidence. And evidence is built from action. So to build more self confidence, you need to take more action. Action begins with two words: I will. Don’t leave the cave without your most important tool – self-confidence. In the battle ahead, your self-confidence will be tested. Consider it your most important weapon. Never ask why, instead ask what. State I will and action will follow. What follows action is experience. What follows experience is self-confidence. Self confidence answers the why so you can get on to the next what. So the only question left to ask is: When will you? Hope to see you Saturday! Don’t forget the change in the location because of the downtown St. Patrick’s Day parade. I’m excited to see what creative new thoughts and experiences come as a result of being on a different field. I want to share with you an analogy that is likely familiar to most of you. As you begin to read this month’s letter, I’d like you to role play with me. Put on your farmer/gardener hat. Think of your actions as the seeds, and your book as the crop you’ve planted. I think you’ll find that gardening/farming and publishing actually have a lot in common! Both farming and gardening provide wonderful analogies for the mindset to succeed in publishing (and maybe even in life). I’d suggest you use this analogy, as I do myself, to build your own publishing empire. I’ve personally found the days I think like a farmer, are the ones I can call my most fruitful. As farmers, we don’t get immediate results – instead we must await the result of our actions taken today. In order to reap a harvest tomorrow, we must plant seeds today. The reality is that most results are largely outside our control anyway, yet they often take our attention from what we can control. What you should give your attention to instead, are the seeds of action you plant today. For it’s the rewards you reap tomorrow that can be attributed to those seeds. Crops can’t be harvested unless seeds are planted, cultivated, and allowed the space to grow. A smart farmer knows that the right variety of crops will grow high and become profitable. Other varieties, not so much. Every season, it’s a bit of a gamble. The key to be a successful farmer is in selecting the crops that will be in high demand and short supply at the time of harvest. This is similar to an author writing a book today that will be in high demand tomorrow. If there’s no demand for your crop (ie. topic), then you can’t expect to demand a high price for it either. Trust that over time, the value of a crop will fluctuate. If too many others are selling the same crop, the price goes down… eventually, nobody is making any money until someone invents a new variety that makes the others less relevant. Last month, I shared the importance of making space for the important items on your plate. If you plant too many seeds in too small a space, none will survive – in fact, they may all grow a little, but not enough to be harvested. Instead, plant the seeds that you want to see grow and give them space to grow. See the result as the goal, and seeds as the steps to get there. You can plant seeds all day long, but there’s no guarantee they’ll grow. In fact, throw a seed in the ground and ignore it – most of the time, it won’t grow. We are bombarded with distractions all day long that will try to pull our attention away from what is most important. The fact is that the most successful farmers focus on one crop at at time. They don’t try to plant a bunch of different crops, but instead pick one they can grow the best, and work at creating the best crop available anywhere. Don’t dilute your efforts. The smart publishers pick a niche and dive as deep as they can into that niche. Just remember that if other farmers see increased demand for a crop, they’ll likely rush to plant the same crop, and when they do, the price will often fall and demand will be diluted. But trust that it’s good to be in early and often. In order to succeed in farming, you will need a set of tools. Like a farmer, the tool shed of a publisher includes key partners, technology, wisdom, experience, and other farmers. Successful farmers are always looking for the best tool for the job. Always be asking: Is this the right tool for the job? Be sure to talk to your fellow farmers – what tools are they using? Is there a more effective tool (or process) I should adopt? CIPA offers a wonderful venue for this type of exchange. Farmers are early to rise. The work ahead demands an early start. There will be times of the year when you must get up early, work long hours, and do it again the next day. Other times, you’ll be able to throttle back, give yourself some time off, and reap the rewards of your harvest. This reminds us of the importance of having passion in whatever it is you do. A person with passion will always outwork someone doing something simply for the profit. One caveat – some people’s passion is profit! Are you planting annuals or perennials? You need to have a good balance of annuals & perennials. If you plant too many perennials, you may end up with a yard in the winter that doesn’t have any plants. Too many annuals and the perennials can get lost in the landscape. The smartest gardeners plant a variety of perennials that bloom throughout that year. That way, the landscape looks beautiful year round! As a publisher, can you think of titles that will be in demand year after year? I think about the authors who write relationship advice and books about love… they reap a harvest every Valentine’s Day! Annuals are readily available, and may be in demand. As a publisher/author, they may show up in the form of services that meet the immediate needs of your readers. But to stay competitive, each year you will need to update your services. Think of it as the opportunity to assess the needs of the marketplace (or changing environment), and plant the appropriate annuals. Annuals can be used to backfill your income while you wait for perennials (see below) to multiply. The drawback of a business full of annuals is that you must constantly plant a new crop of annuals (ie. clients) each month. Perennials require little maintenance and will reward you with blooms (cash-flow) year after year; they can also multiply, providing you with additional profits over the years to come. Plant a perennial this year (ie. publish a book) and you will be building a recurring cash-flow for years to come. But since perennials multiply, to stay healthy, they will require periodic thinning. If you do make space, overcrowding will occur and flower production and disease will naturally decrease the population. Thinning requires digging up some of the plants, pulling or cutting them apart and replanting; this process must be repeated about once every three years. Some Perennials self-multiple with little maintenance. Strive to find a theme in your work that allows for the seed you plant to be a perennial. This begins early in the ‘idea phase’ of your topic by picking ideas that can be ‘perennialized.’ You can see this in action with publishers who create multiple spin-offs of their topic and multimillion empires as a results. Some better known examples include: Chicken Soup for the Soul, Guerrilla Marketing, and The Dummies Series. Most gardeners prefer a mix; perennials provide constant beauty, while the annuals give the gardener the opportunity to change things up a bit. As an authorpreneur – it’s up to you to find a mix that works… even the most successful farmers get caught in dry spells when the crop they’ve planted is in abundance without enough demand. Initially, seeds need water to germinate. They need to be planted in fertile soil. The right conditions are key during a seed’s infancy. Some seeds will go dormant if ignored, and they may be hard to find later. You can control things like the water you feed your plant, the weeding, and attention you give it. You can set it up so it can get plenty of sunshine (exposure), but you can’t control the sun or the rain. The most important thing you can do as a smart farmer is to be wise in knowing the care and feeding a particular crop will require. Do you have space in your ‘yard’ for it? Will it steal sunlight from your other plants that are already growing? Weeding and maintaining your crops is a never ending process, so you are best to accept that fact and get used to it. The most successful businesses fail when the owner takes the success for granted and starts to ‘kick back’ and just watch his crops grow. Truth is, successful people work harder once they are successful to stay successful. Weeding is a daily battle. So be sure to always be on the lookout for weeds and the sooner you pull them, the less work it’ll be. Let them go too long, and it becomes harder and harder to remove them. Think of your bad habits as weeds – the sooner you eliminate them, the easier they’ll be. Your relationships are seeds as well. You’ll need to do some occasional wedding so others in your ‘yard’ can thrive. You can sell your ‘seeds’ to other farmers who will plant them in their pasture, and you’ll both receive a reward at harvest time. Keep in mind, the partner farmer can do much better when you provide the tools and training to help them thrive. Also, many will use that training to create their own crops and eventually could become a competitor. One of the many facets to running a successful farm is to participate in marketplaces that allow you to sell your harvested crops! One unique model that creates a high margin is co-ops and farmers markets. Co-ops are ongoing ‘store fronts’ where customers can buy at a discount. Farmers markets are events that showcase a farmer’s crop to a targeted group. What Co-ops can you participate in as a publisher? What seeds have you planted this week? What weeds have you pulled? What season are you in? And what are you planning for your next crop? What is your CASH CROP? And are you paying it enough attention? How are you improving it? Are you a farmer or hunter? One of the reasons I left my job in sales was because of the ‘farming vs. hunting’ mentality that existed where I worked. Management saw each of us as either a ‘farmer’ or a ‘hunter’. The hunters were expected to find new clients, the farmers job was to cultivate existing clients to yield a profitable harvest. I was a farmer in a company that valued hunters. We all have unique experiences that make us better suited as farmers or hunters. I’ll plan to expand on this article next month by creating an analogy for those of you who might have a tendency or preference to be a hunter. But until then – put on your farmer’s hat and get to work! We all make resolutions with the new year. I am sure you have made yours! Maybe you want to sell more books as an author, or a publisher. Or maybe you would like more business as a service provider. I’d like to share what I feel are the ‘power questions’ you should be asking as you take action to increase your success as a publisher in 2013. Key to making these four questions work for you is having clarity of purpose and knowing the real ‘why’ behind your goals and objectives. I believe that one or more of these questions reveal why we often fail to accomplish what we set out to do. 1. Have I allocated the necessary space & time to complete the task? 2. Do I possess all the necessary knowledge, prerequisites, or resources to complete the task? 3. Is fear (obvious or hidden, real or imagined) that is preventing me from taking action? 4. Have I let myself get distracted? Have I let something, someone, or my own lack of discipline get in the way? Has my energy and attention been pulled to the latest ‘bright shiny object’? In my experience, the source behind accomplishment is tied directly to self-confidence, self worth, and doing the things that you truly believe matter the most (even if nobody else does!). All the best to your success in 2013. I hope our paths cross soon! Do you know how to prepare a manuscript for your proofreader and/or book designer? I strongly urge self-publishers to hire a professional editor and proofreader prior to delivering a manuscript to our designer for layout. Nevertheless our team sometimes receives partial manuscripts and manuscripts that have not been proofread or formatted properly for proofreading or design. As a result, it takes more time (and cost the client money) for us to get the manuscript in the proper format before we can begin to proofread or lay it out. Do NOT give us a PDF document of your manuscript, because we will have to convert it back into a MS Word document, and in doing so, it will lose formatting and introduce new errors. The conversion process is not precise and technical errors are common. The first line in the first paragraph in each chapter, after a heading, or after each subheading should NOT be indented. But please DO indent the first line of all remaining paragraphs, Please use the tab key, not the space bar. Use bold, initial caps for chapter titles, heads, and subheads, left aligned in 12 point Times New Roman. Do NOT use ALL CAPS. (The designer will make an appropriate change in the format style in the page layout document). If your manuscript has multiple levels of headings and subheadings, please create an outline with the designations: I, II, III, A, B, C, 1, 2, 3, a, b, c, etc., to designate each topic’s level in the hierarchy. Bullet points and numbered lists should be formatted with hanging indents and a left margin of 0 .5 inches. Indicate sidebars, call outs and boxed text with a dashed or dotted line prior to and after the text. Type the appropriate descriptive words (i.e. : SIDEBAR:, CALL OUT:, BOXED TEXT) in a separate paragraph prior to the text to indicate a change in formatting. Use 12 point Times New Roman. (The designer will make an appropriate change in the format style in the page layout document). Every place where you want a photo, graphic, or illustration inserted should have a separate paragraph with the words formatted like the example shown below followed by the corresponding caption (if you have one). Use the exact filename for the image in the instructions so we can locate the image file by its name. << “Insert Photo (or graphic, illustration) 26.jpg here >> Caption follows . . .
Do NOT insert your photos, graphics, or illustrations into the MS Word document. Instead, include all the high-resolution files of the photos, graphics and illustrations in one of three folders, titled Photos, Graphics, or Illustrations. The designer will reference the filename you used in the manuscript to retrieve the proper file from the folder and insert it into the layout. Be sure to include a table of contents page. Do not include page numbers on the table of contents because the page numbers will be different in the book layout. Copyright © 2012 (or whatever the current year is at the time of publication), by your company name or your name depending on who the copyright owner is for your work. All rights reserved. No part of this document may be reproduced or transmitted in any form or by any means, electronic, mechanical, photocopying, recording, or otherwise, without prior written permission of your company name here. Requests for permission to make copies of any part of the work should be submitted to the publisher at your company name and contact information here. There is also often a disclaimer that the material in the book cannot substitute for professional advice; further, the author is not liable if the reader relied on the material and was financially damaged in some way, and if it is a biography, a statement about the recollection of stories shared are recalled to the best of the author’s knowledge, etc. Shown below is the proper order of the front matter, according to the Chicago Manual of Style. You do not need ALL of these items, but whatever you do have needs to be in this order. Here is the proper order of the back matter, according to the Chicago Manual of Style: You do not need to have any of these items, but if you do, this is the proper order. Karen Saunders, owner of MacGraphics Services, and her team of award-winning designers help authors and small business owners design their books, build their brand, launch their website and market their business. Download your free Book Media Checklist and a free eCourse on How to Create a Best-selling Book Design from the Inside Out www.MacGraphics.net You can also contact her at 303-680-2330, or Karen@macgraphics.net. Are you stumped by new acronyms that have suddenly popped up and become part of the current lexicon in the publishing, marketing or advertising arenas? I’ve notice new acronyms are born whenever there is a new leap in technology, such as the emerging field of eBook publishing. Here are definitions of some common and newly coined acronyms you’ll be sure to hear about, if you haven’t already. AI — Adobe Illustrator A vector-based graphic file format developed by Adobe. BMP — Bitmap A raster-based file format. CMYK— Cyan-Magenta-Yellow-Black A four-ink color system used by printers to print full color images. This is “process color” printing. CTP — Computer to Plate A technology used in the printing industry. A desktop-published document is imaged directly onto a computer plate, skipping the film negative state. DPI — Dots Per Inch A measurement for gauging resolution in printing. In printing it refers to the number of dots placed in a line within one linear inch in a halftone image. DRM — Digital Rights Management A proprietary file encryption that helps publishers limit the illegal sale of copyrighted books. EBOOK — Electronic Book A book in electronic form. Ebook files have file extensions of .mobi, .prc, .pdf, or .epub. EPS — Encapsulated PostScript A graphics file format developed by Adobe. EPUB — Electronic Publishing A file format for electronic books and Web publishing. The Apple iPad tablet with the iBooks app, the Sony Nook, and the Adobe Digital Editions application all use this format to open ebooks. FTP — File Transfer Protocol A standard network protocol used to transfer files from one server to another over the Internet. Very efficient and fast. GIF — Graphics Interchange Format A file format developed by CompuServe and is used for bitmap images used on the Internet. HTML — HyperText Markup Language Standard coding protocol used for formatting and displaying text and graphics on the Internet. This language is used in formatting ebooks now too. ISBN — International Standard Book Number A unique 13-digit book identifier. Publishers purchase a separate ISBN number from Bowker.com for each book and every format of that book. ISSN — International Standard Serial Number An 8-digit unique identifier for a printed or electronic periodical publication. JPG — Joint Photographic Experts Group A file format was developed by the this group to standardize compressed graphics files. Often used for images on the Internet, photos and large graphics. LCCN — Library of Congress Control Number A serially based system for numbering catalog records (books) in the Library of Congress. MOBI — Mobipocket A file format for ebooks used on the Amazon Kindle, Mobipocket Reader and other eReader devices. OCR — Optical Character Recognition Software that scans images of handwritten or typed words and translates them into editable text. It is widely used to convert printed books and other large documents into electronic formats. PDF — Portable Document Language A versatile file format allows you to view the document on a variety of platforms (Macintosh, PC, UNIX, etc) using the free Adobe Acrobat reader. PMS — Pantone Matching System A proprietary color ink system by Pantone. These premixed spot colors are used in the printing industry. PNG — Portable Network Graphics A file format for bitmap images that incorporates compression. It was created to replace the GIF format for Internet graphics and photos. POD — Print on Demand A printing technology that allows individual books to be printed one at a time, as they are ordered. PPC — Pay Per Click An Internet advertising model to direct traffic to websites. The advertisers pay the publisher (i.e. Amazon) each time the ad is clicked. PPI — Pixels per inch A measurement for gauging resolution in video or printing. In video it refers to spacing between the red, green and blue dots and in printing, it’s the number of pixels that appear in one inch. PRC — Palm Resource Code An alternate file format for eBook documents used on Amazon Kindle, Mobipocket Reader and other eReader devices. QR Code — Quick Response Code A square matrix barcode made up of little black and white squares. You’ll see them printed on products, marketing pieces and ads. When you use your smart phone to scan them, you’ll be taken to a website where a video or more information about the product or service is found. RSS — Resource Description Framework (RDF) Site Summary A family of web feed formats to publish updated works such as blogs, audios and videos. SEM — Search Engine Marketing A form of Internet marketing that promotes web page visibility in search engine results. SEO — Search Engine Optimization The process of improving a webpage rank with search engines such as Google. TIF — Tagged Image File A format for raster-based images such as photos. XTML — Extensible HyperText Markup Language An update of HTML which works as well or better than HTML, but has certain additional requirements in coding. Just seeing if you’ve read through the whole list!